Wholesome. Chewy. Delicious. 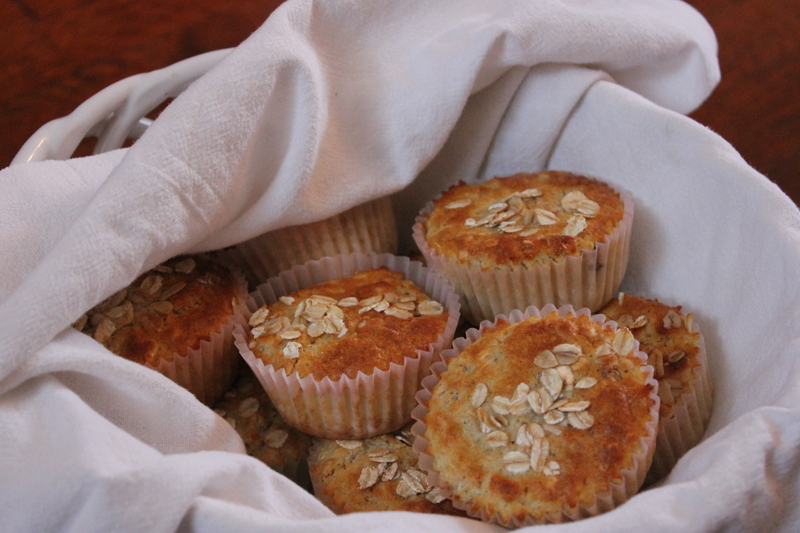 If you like oatmeal, you should love these muffins! They really do taste like a bowl of oatmeal in muffin form. Filled with dried apricots, craisins and/or dates will add a nice bit of sweetness, but if you’re like Matt you might just want to eat them plain – sans the dried fruit. Fun story: The first time I made these for Matt, he didn’t like them. 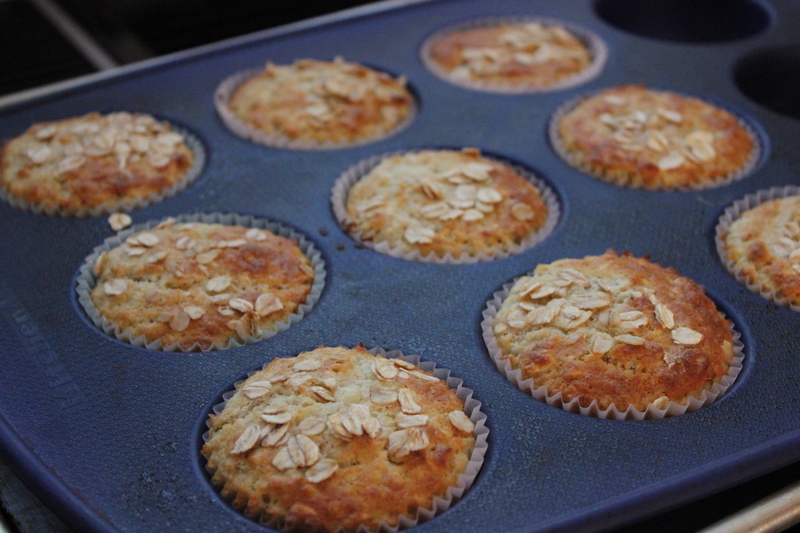 He took one bite and made a funny face and said “What’s in these?” I told him the ingredients and said they were “healthy” muffins, not the fat-filled, overly sugary cakey muffins you would normally expect. He took another bite and LOVE them. I figured he would. Matt loves just about anything with oats in them! 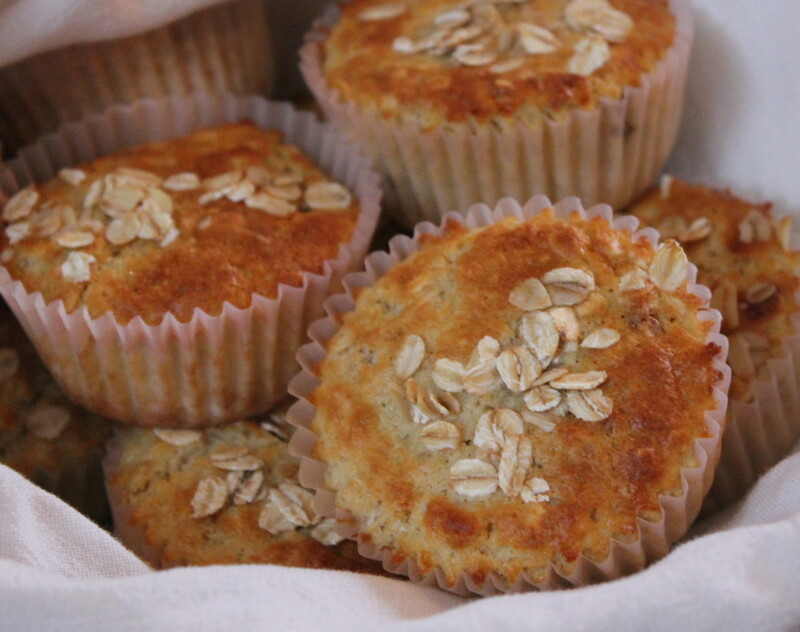 I don’t want you to get discouraged… these muffins are really really good. However, you know that feeling you get when you bite into something expecting one thing and it’s actually something else? It throws you off! Case in point… I love Perrier. One time I picked up a glass of water, thinking it was plain ole tap water. After taking a sip I discovered it was Perrier. I wasn’t expecting the fizziness from the sparkling water and it took me for surprise, in a bad way. The same thing happened with Matt and these muffins. Enjoy your Saturday. 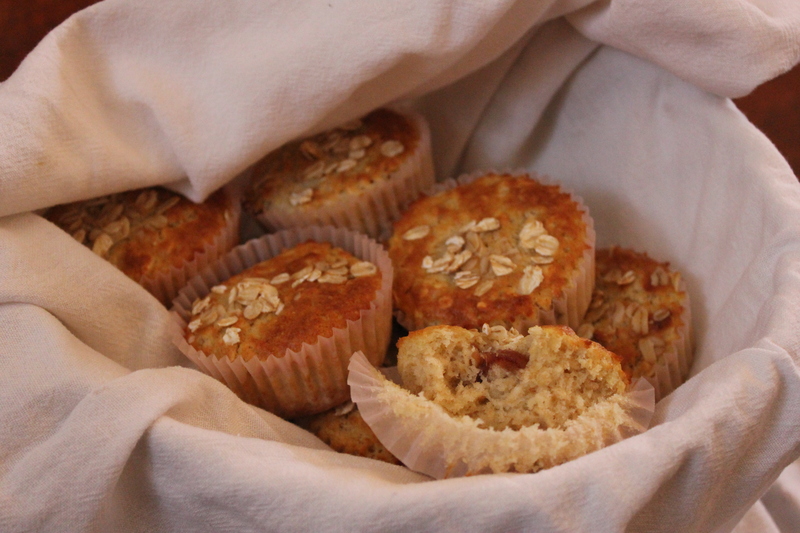 Whip up a batch of these oatmeal muffins and let me know what you think! 1. Preheat oven to 425 degrees F. Lightly grease or line a muffin pan with paper-lined muffin cups. 2. Combine first 6 ingredients in a large bowl; make a well in the center of the mixture. 3. Stir together milk, butter, and egg; add to dry ingredients. Stir just until moistened. 4. Spoon batter into muffin pans, filling two-thirds full. Sprinkle with oats, if desired. 5. Bake for 15 minutes. Remove from pans immediately.